Protecting the health, safety and welfare of the workforce is a key concern and requirement for every business. As standards and procedures in workplace health and safety (WHS) continue to develop, Australian businesses can better equip themselves with the tools to minimise the risk of harm to employees. Navigating the often complex regulations and legislation that govern WHS can be challenging for many organisations. 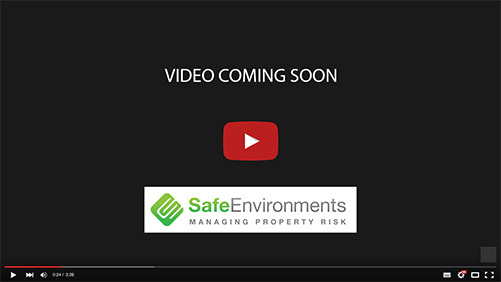 Safe Environments understands the need for compliance and the challenges that this can present. We can help your organisation – whether large or small – to better understand the individual risks and requirements for your business and your industry in order to control risk. We pride ourselves on keeping abreast of the latest WHS requirements, and working closely with clients to help them to achieve compliance by undertaking WHS compliance audits, property risk inspections, WHS assessments and developing bespoke WHS management plans. We also offer slip resistance testing and accreditation services for building materials, helping you to certify that these surfaces are ready for safe use. Our consultants are on hand to identify which tests and assessments your workplace may require to ensure compliance and provide a safe work environment. Safe Environments conducts workplace health and safety consultations and risk assessments across Australia. Our experienced consultants can come on site to your workplace to undertake a thorough risk assessment, and will work with you on a bespoke solution to mitigate risks, achieve compliance and ensure the safety and welfare of your workforce. Contact our team today to arrange your workplace consultation.